The next moment his eyes widen in terror. “Dig!” Vetfaan uses his hands to scoop sand from under the floor boards of the old wagon. If they can make a hollow big enough for the three of them, they might just be safe. !Ka joins the scooping, but Fanny stands rooted to the spot. She’s staring at the contents of the chest. Then she looks up and sees the wall of dust and sand approaching. Giving a little shriek, she starts digging alongside the men. With the wind tugging at their clothes and sand already stinging any exposed skin, they huddle in the hollow below the wagon. Sheets of sand rush overhead, causing the wagon to creak and sigh under the onslaught. Fanny says a silent prayer. The wind increases in velocity, screaming and howling louder and louder…and then, suddenly, it is gone. As unexpectedly as it came, it disappears down the valley between the two dunes. The silence after the pandemonium is almost worse than the noise during the storm. “That was close,” Vetfaan stretches as he gets out from their shelter. “May they rest in peace,” Fanny whispers. She is obviously deeply moved by the events. They have to dig in the new layer of sand to find the chest again. Vetfaan now lifts the lid in complete silence. Twenty Burger Pounds glitter in the sun. It is a fortune! As if in answer, a sudden gust of wind blows up the sand over the graves. “I hear what !Ka is saying, Vetfaan.” Fanny has been quiet ever since the storm. “It doesn’t sound logical, yet it makes sense. Look at us. We came here to bury this family. They died for a dream. We should respect that. Taking their things wasn’t the reason we came here..
Vetfaan opens his mouth to tell her she’s missing the point. This is an incredible amount of money, Fanny, for goodness’ sakes! He glances at her unhappy face and turns away. Taking a deep breath, he walks over to the grave. What is the price of a dream? And if that dream turns into a nightmare, must it necessarily lead to destruction? Is a nameless grave in a no-man’s land better than making peace with what you’ve got? Take these poor people, for instance. 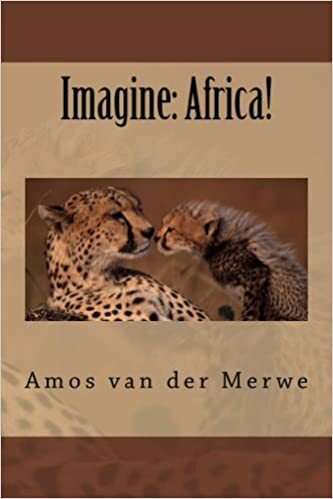 Had they made peace with their lives in Transvaal, would they not have had a better chance of living out a full and happy life? Dreaming, he decides, is great; but it must have a foundation of reality. And reality, in its turn, can create rich dreams you can’t buy with money. They make it back to the camp site long after the sun has set. It’s been a quiet journey over the dunes, with each one of them lost in thought. !Ka is happy, because they did the right thing. They buried the remains and the wandering spirits have found a home. Vetfaan tried to calculate what those coins were worth, gave up when the zeroes became too many, and wondered if the shifting dunes will ever uncover that spot again. Fanny somehow feels elated. The poignant burial has touched her in a strange way. The final episode in that family’s quest to fulfil a dream was the start of her long journey back to her own hope; her own dream. !Ka pokes at the glowing embers and smiles. People can be so strange! Give him a bow and an arrow, the endless horizon and the spoor of an antelope. What more can a man dream of? “You want to use the San as a source?” Even as he asks the question, Vetfaan knows she is right. The Bushmen have lived in harmony with nature for countless centuries. It is also generally accepted that they represent one of the oldest cultures on earth. They are, to some extent at least, the source of much we claim to be. And they remained true to their way of life, despite the ‘progress’ of their descendants. Later, the confusion of laws brought back to Africa by people who didn’t understand this intimate kinship, have driven them into the desert to isolate themselves from an artificial civilisation characterised by crime, corruption, murder and greed. If Fanny wants to – as she puts it – rediscover truth – then maybe it makes sense to return to the beginning and learn more about the San view of life. If a root is to be found, she may just be digging at the right spot. How, in heaven’s name, am I going to explain all this in Rolbos? And then, inexplicably, Vetfaan fInds himself smiling. The smile grows into a chuckle. And pretty soon, happy laughter fills the night as three people – from totally different worlds – discover that the most valuable dreams cost nothing…and they can be shared. Sanbonani.. Zulu for ‘I see you‘. It is a form of respectful greeting; a recognition of the right of others to be there. 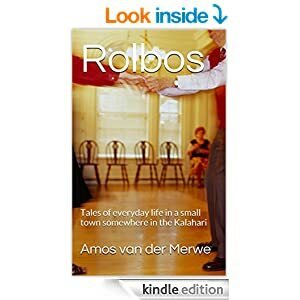 This entry was posted in smalltown short stories on March 8, 2013 by Amos van der Merwe. Some folks wait with baited breath, as they peek out their window at their mailbox. Will the refund check from the IRS arrive today? I wait with baited breath for my computer to Ping, announcing the arrival from Rolbos of another chapter in the life of Vetfaan. “Mail’s here folks,” announces Amos. Today’s mail is an extra great treat. Tell Vetfaan that I have just contacted Boggel’s Place and chatted with Gertruida. She will have frosty mugs waiting, and suds ready to pour, when Vetfann returns from the desert. She is also setting aside a bottle of Chivas just for Vetfaan and I to enjoy by the red hot embers while I hear more about his journey through the dunes. We hope Gertruida will stop by for a neat one. Help! Tears are running down my cheekbones. Dropping on my keyboard. I am in stitches over the image of Gertruida having her hair done to sit by a dirty campfire. I can just see the smirk and smile on your face when you wrote that line about Gertruida. Tell Gertruida I’ll even take a bath and shave. And, I’m bringing her a pair of Women’s Bean’s Wellies from L.L. Bean in case she wants to trip the campfire fantastic. This story reminds me very much of something else I read of yours, even though the story is very different, it carries the same soul. 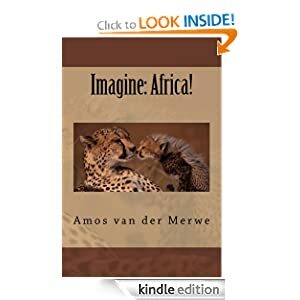 The Namib Chocolate Factory…it’s in Imagine: Africa. Well-spotted, Huggs. There are some parallels, indeed. I’ve got GOOSEBUMPS from head to toe!!! 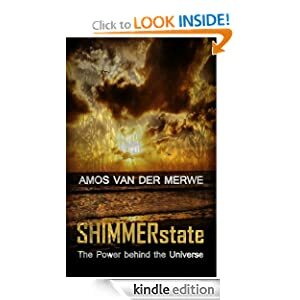 Amos I am enjoying this so much, thank you. It has touched something inside me…. Thanks, Leanda, it’s a huge compliment. 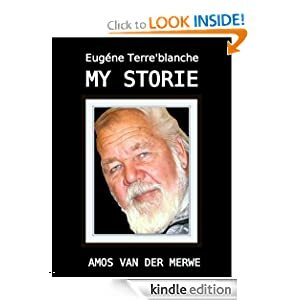 net sodat die volgende storie moet kom. I, like Fanny, would go with !Ka to learn the ways of the San. But poor Vetfaan’s must be heartbroken. What can I say… there’s fun and fact, truth and learning all rolled into one!